Let’s go through some of the features of AVG 2016 products and then we will mention the download links to the offline installers. 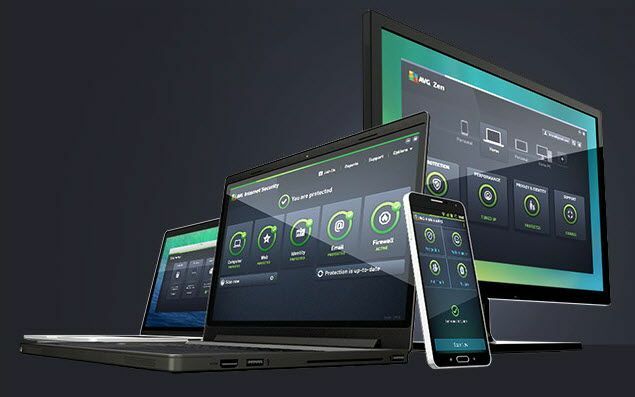 AVG Protection Pro 2016 comes with all the features of AVG Protection Free plus a few new features of its own. The new features include Online Shield which protects the user from harmful downloads, Data Safe encrypts and password protects private files, an enhanced firewall to keep away from hackers and priority updates get pushed to your system in real-time. Super helpful. Thank you very much. I would have infected 2 more flash disks today with anonymous data. Program converts immediately to AVG AntiVirus Free with no side effects. Why does AVG Ultimate link download the older AVG Internet Security file? What about virus definition updates? are there options for offline virus definition updates? Thanks for the links, super helpful. Thanks for these offline installers. Slow internet in india means i can’t doownload the 2mb online installer as there are chances it will get disconnected when it downloads. Better this standalone installer. Thanks so much! i have been downloading the offline istallers. I hope it’s work. thanks for posting the links to the standalone installers – I regard these as essential as I insist on installing both the OS and the anti-virus BEFORE connecting to the web. Interestingly, the AVG site makes the standalone installers hard to find, not even Bing nor Google list them on the first page of search results, yet your pages are there. Thanks for the compliments Patral. We share the offline installer links on this site for the exact same purpose. While web installers are good for most users, offline installers need to be made publicly available for advanced users. After uninstalled AVG Internet Security and installed it again. AVG showed “failed”. I tried several times but the results are the same. Can I installed Internet Security again or there are conflicts with Windows Registry? If yes, how can I remove keys from Windows Registry? If you want to install the trial of AVG Internet Security again, it won’t be possible until you install Windows again. After the trial period, it’s mandatory to buy a license. kindly make it clearly thoughts about it thank you…. is it better than windows defender? why did avg turn off defender? are your avg installer unaltered? Yes our download links come directly from AVG website. These are not hosted on our servers. And only one antivirus can be active at a time. So AVG turned off Windows Defender when you installed it. AVG’s protection is better than the default Windows Defender. I already have several AVG products nut for 2016 I wsant the combination virus and internet production all in one program.